Just look at those smiles. These snowmen look so happy. 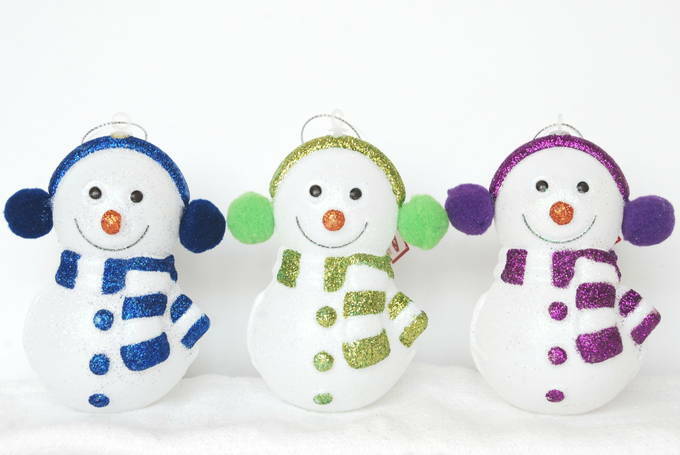 They can’t wait for you to hang them on your tree at home. Well, I couldn’t resist. So cute it’s hard to believe they’re under a dollar. I wish it had come in pink too. They are 4 inches tall. My Mom hung clip ornaments on her trees when I was young. I definitely remember seeing birds clipped to her tree. 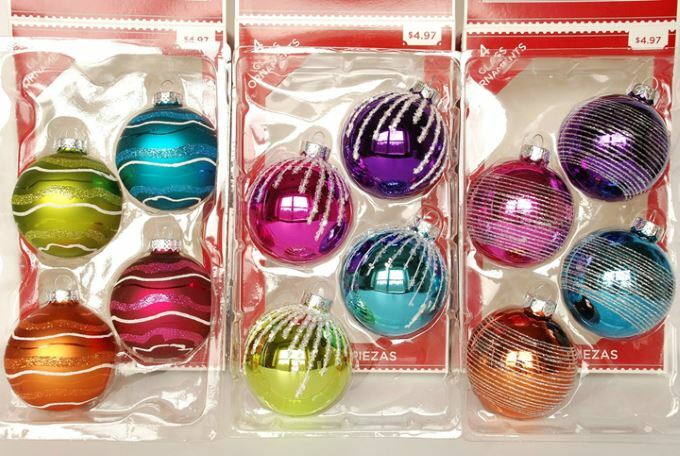 I’ve always been a hanging ornament kind of gal until… yup, you guessed it… I saw Walmart’s selection of clip-on ornaments they have out this year. I love me some sparkle – so I was in heaven. 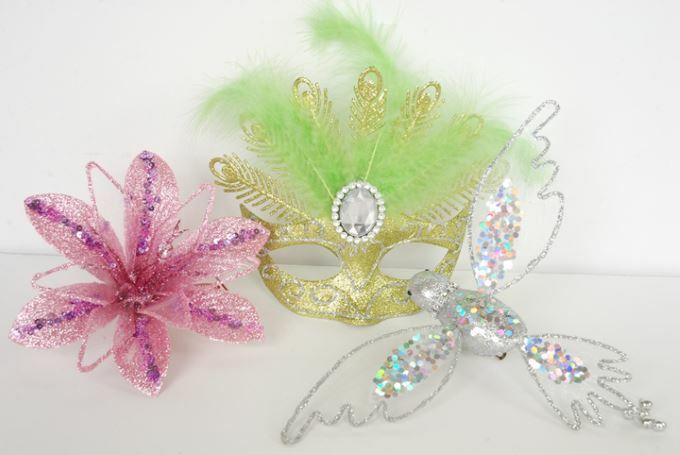 They have the prettiest sparkliest glitter and sequins on them. There are many different kinds. Hard to resist – so be careful, you may walk away with more than you wanted. 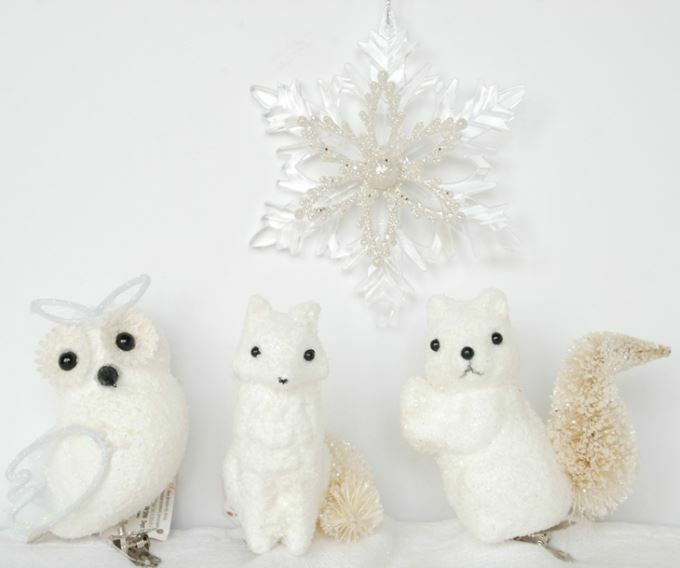 Just look at these precious little snow animals – awww. How can you not bring them home? They are about 4 inches tall. Now this snowflake made my heart stop. It’s a very thick acrylic. The goldish top snowflake has the same level of glitter as the clip-on ornaments above. The photo does not show how sparkly it is. The back has a clear faux jewel in the center. Stunning. LOVE IT. Quick – avert your eyes! These amazingly bright colors may blind you. I was certainly surprised by them. I love how the white translucent glitter drips down from the ones in the center. They’re all about 2½” wide. 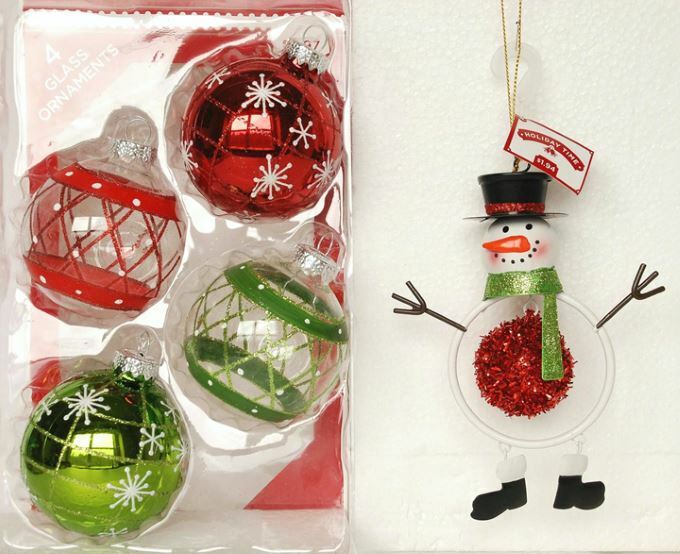 Here are some more boxed glass ornaments. This time they’re red and green. I liked how they matched this little snowman. He is about 5” tall. It’s so fun finding special ornaments at Walmart. Be open to all the different kinds they have. You might be surprised – or blinded.